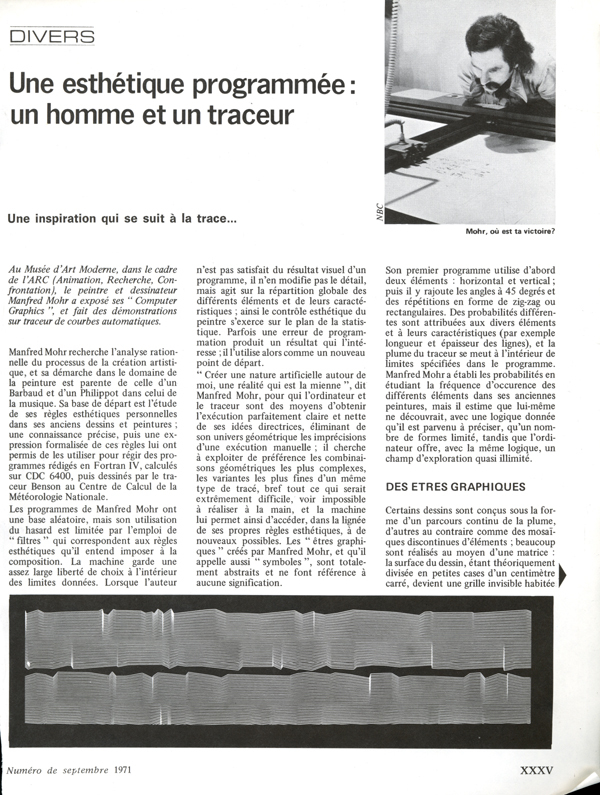 In 1970 Pierre Gaudibert, director of Animation-Recherche-Confrontation (ARC) at the Musée d'Art Moderne de la Ville de Paris, visited the computer center of the Meteorology Institute in Paris, Avenue Rapp, where Manfred Mohr conducted his research in computer graphics. Gaudibert was so impressed by what he saw that he subsequently invited Mohr to prepare a show of his work at the Museum. 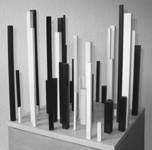 An exhibition by Manfred Mohr, featuring for the first time, a one-person show in a museum of works entirely calculated by a digital computer and drawn by a plotter. Le Monde, Figaro, Nouvel Observateur etc. During the time of the show a large white panel was mounted in the exhibition hall at the Museum, a sort of guest book, where visitors could write whatever they wished to say. 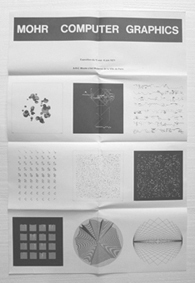 This is Manfred Mohr's first catalog with computer graphics. 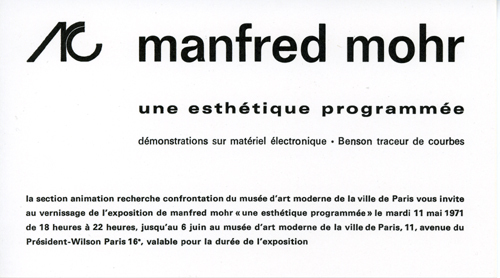 In this workphase from 1969-1971, Manfred Mohr had the above mentioned exhibition in Paris, which is now regarded as an historic show. It is also his first one-person exhibition in a museum. 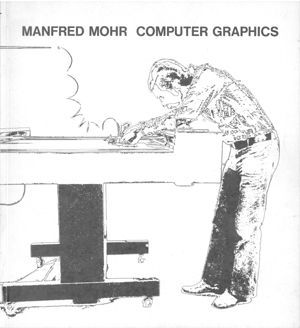 After having first used the computer at the newly formed University of Paris at Vincennes and having one time access to a light pen plotter at Brookhaven National Laboratory as well as to a Zuse flatbed pen plotter at the University of Darmstadt in 1969, Manfred Mohr was given access to the flatbed pen plotter and computer at the Meteorologie Nationale in Paris. He worked enthusiastically nights and weekends experimenting with the new machines. 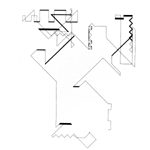 In this workphase and the next 1974, Manfred Mohr developed many new and different ideas and wrote algorithms to realize them as drawings. 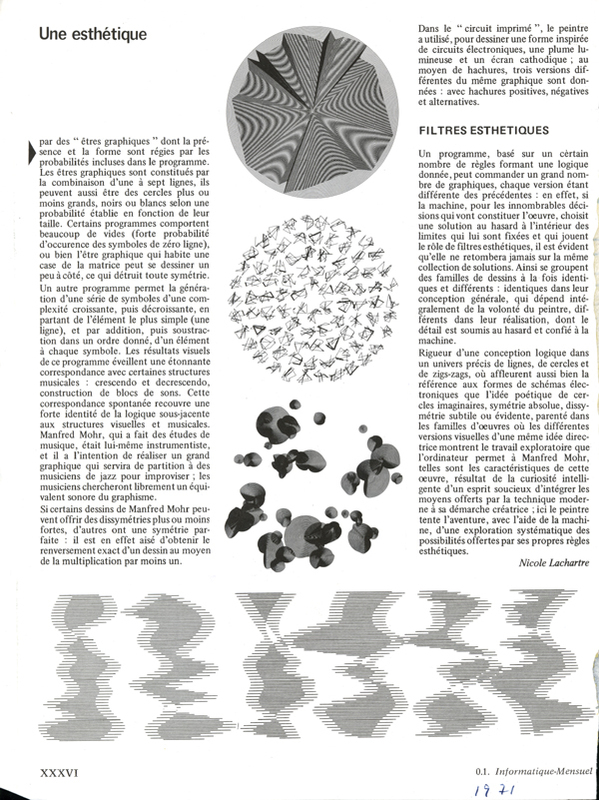 Algorithms/Methods from this workphase were: mathematical methods - linear transformations from one form to anothera to create surfaces, spline functions to create curves, adding (and subtracting) lines to create forms, matrix layout, stretching, shifting to create fuzzy surfaces (vibrations), reflection, negative and positive surfaces, hashed surfaces, overlaying, space defining random walks. Geometric objects - lines of varying thicknesses, curves, circles, squares, cubes. Inventing random electronic circuits, abstract texts, random alphabets, tracing forms with an electronic light pen. 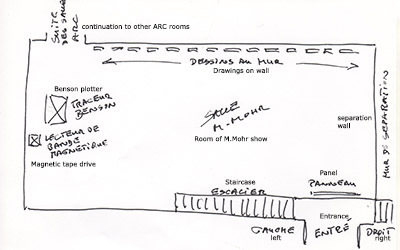 In this period, besides the computer generated drawings, he made computer generated collages, sculptures, a random number book, and a model of a room with a drawing of a continuous line traversing its walls.